Soup or stew that was the question! I settled for a chunky soup. 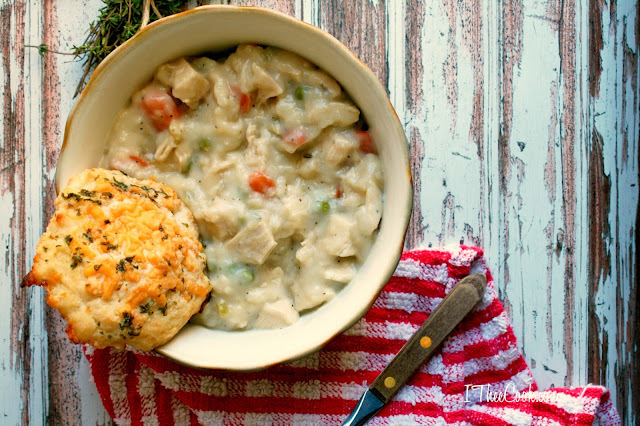 Everything you love about chicken pot pie minus the pie. it is still just as delicious! We have had some pretty mild weather here during the day. How ever the nights have been pretty chilly. Perfect comfort food. 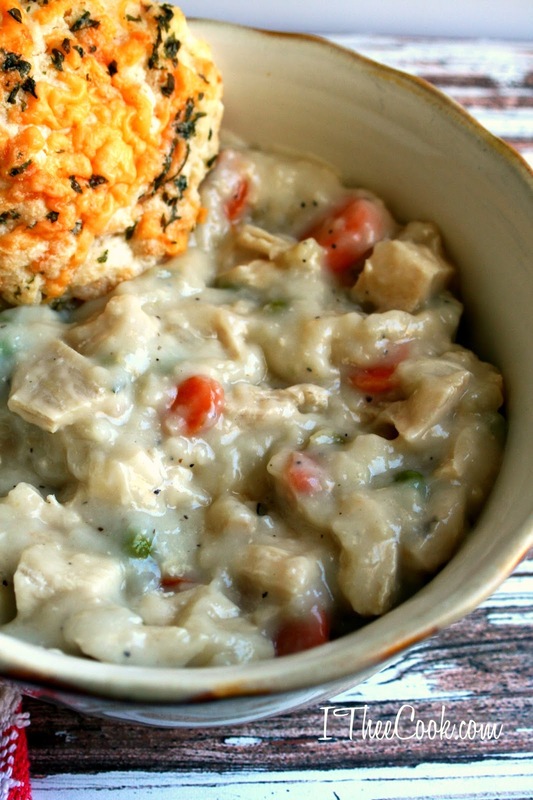 Tender chunks of grilled chicken, carrots, onion, celery, corn, and peas all cooked together in an amazing creamy soup. Melt butter in a dutch oven over medium high heat. Add the carrots, celery, onion corn, thyme sage, marjoram salt and pepper. Cook, stirring occasionally, until vegetables are starting to soften, about 5 minutes. Add the flour and cook one more minute or so. Stir in broth and milk, cover the pot, and bring soup to a simmer. Reduce heat to low and simmer, uncovered, until vegetables are tender, about 6 minutes. Stir in chicken and peas and let simmer until chicken is cooked through and peas are heated, about 5 minutes. Divide soup among serving bowls serve with your favorite bread or biscuits. looks delicious. I have to try this one now that the fall weather is here. It looks amazing! Thank you for sharing with Foodie Friends Friday. 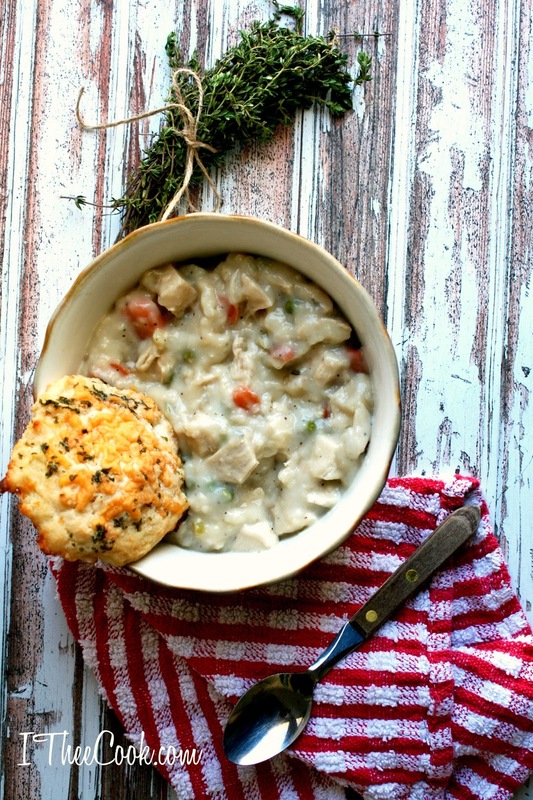 We are featuring your recipe today on our Daily Dish Magazine. Come on over! I love chicken pot pie, but with a diabetic hubby, that just doesn't happen any more...now I can have what I have missed and share it with him as well!!! Thanks for sharing this recipe! That's great news! I hope you guys enjoy it! I love chicken pot pie, but I'm not such a fan of making some pie crust, so I'm thinking this is just the recipe for me! :) Loving your cheesy biscuit too!